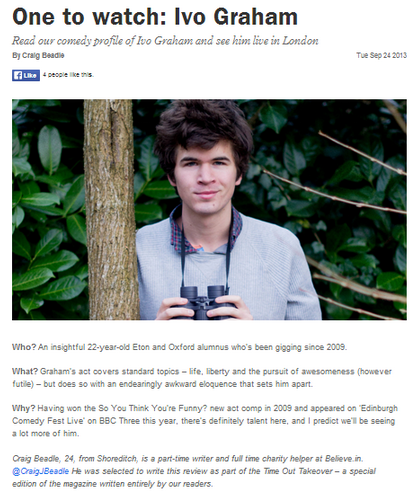 I wrote this “One to Watch” piece on comedian Ivo Graham, as well as other contributions. I also went to the offices to appear in an internal promotional video. It involved make up.